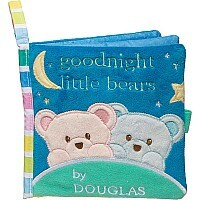 6" square Pink and Blue Bear Activity Book, "Goodnight Little Bears". 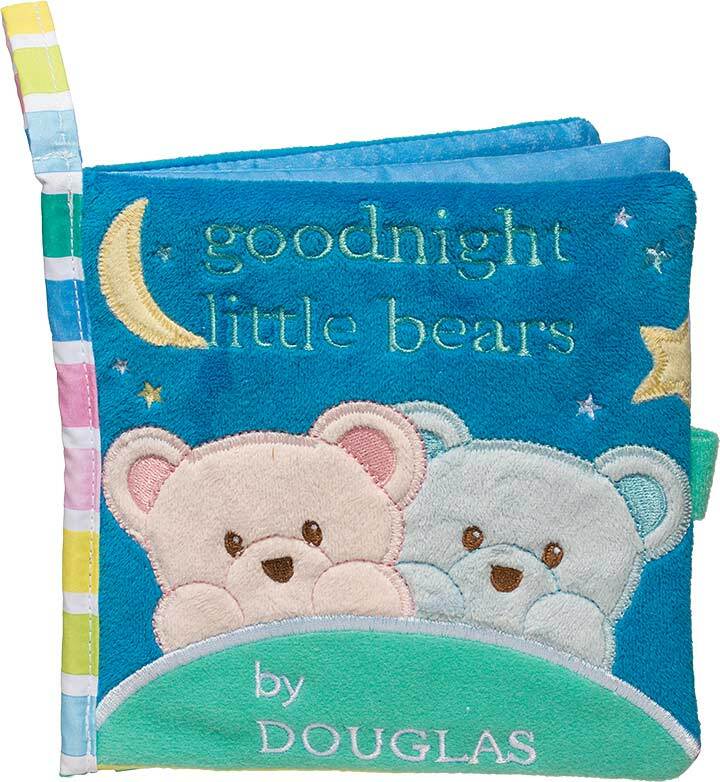 Soft book with engaging baby story lines! Colorful flaps, tags and unbreakable mirror. Squeaks and rattles. Appliqued front and back - surface washable. Recommended for ages : 0 to 6.